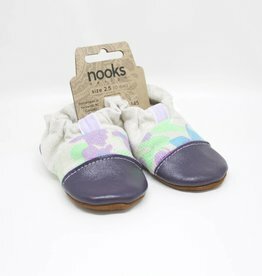 Nooks Design (originally named Nooks Footwear) began with a visit to some Kelowna, BC thrift stores on a cold December day where there was an abundance of outdated wool sweaters that were going to be discarded due to moth holes. 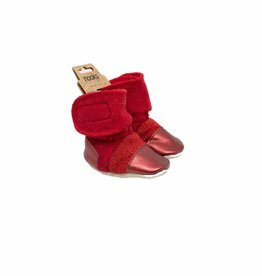 It seemed like a perfect opportunity to take the wool and make it into something new and beautiful, and so was born the idea of transforming the material into footwear for our little one. 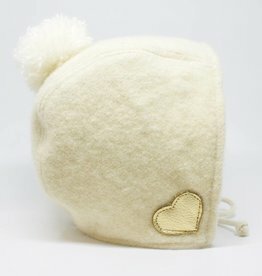 One year after the launch of the business, a line of children's clothing was designed and brought to production, starting with custom dresses and skirts. 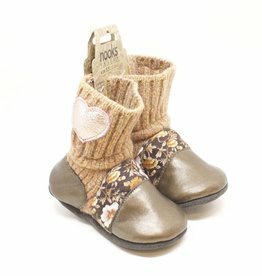 The diversification of the product line made it necessary to rebrand into Nooks Design in mid-2014. Today, vintage fabrics as well as upcycled wools and leather are being made into a variety of dresses, skirts, rompers, sun suits, bonnets, bloomer shorts and accessories like bow headbands; of course, the little wool booties that started it all are still available too! Our small team works to continuously develop new and fresh patterns, always with the inspiration of using timeless designs.